 How the inclusion of trans people in our communities of faith has the potential to broaden our understanding  Written by a priest and parent of a trans person  Discussion/journaling questions included All are made in the image and likeness of God. If this is what we believe, then trans people, like all people, reflect something of God, and not just in the ways that they share in common with others, but also in the ways that they are different. They remind us that God is beyond all of our categories, even gender. 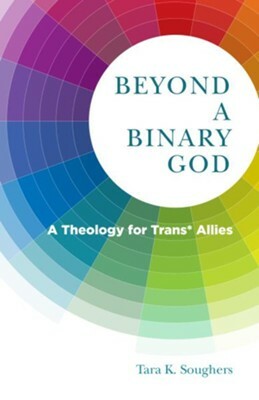 In this book, Tara Soughers explores theology from the position of a trans allya parent of a trans young adult as well as priest. What does it mean about God and about humans, that there is not a strict gender binary? How can we affirm and include what we have learned about the permeability of boundaries to affirm those whose path does not follow traditional cultural stereotypes, and how might the broadening help us to understand the God who is never two for Christians, but both one and three? What gifts does this broader understanding bring to the church? I'm the author/artist and I want to review Beyond a Binary God: A Theology for Trans* Allies - eBook.